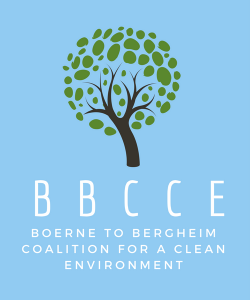 Complaints Filed with TCEQ – Stop Vulcan in Boerne! 35 complaints about Vulcan Ready Mix-1604 have been filed with the TCEQ. More have been made with MSHA, Bexar County, 911, SAWS & the EPA. Many citing illnesses caused by toxic dust problems they claim to see coming from Vulcan, waste water spills, serious storm water violations, contamination of a creek nearby that runs through neighborhoods. This is more than any other facility we could find in Bexar Co. This Vulcan facility had 42 violations and numerous investigations in their recent compliance period. Many of them are serious and resulted in documented damage to the environment and public health according to TCEQ & residents. The TCEQ has been ineffective at policing these permits. Track out dust is a serious problem and a source of dangerous dust emissions that the TCEQ does not acknowledge. Many complaints have been registered for this track out dust at Vulcan 1604. Watch the KSAT Defenders news story on this Vulcan plant. You can view Vulcan’s TCEQ complaint record here.